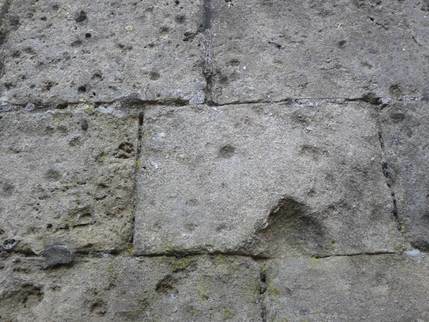 Musket and cannon ball damage at Malmesbury Abbey. ﻿Wiltshire was the location of a number of important episodes of the English Civil War (1642 to 1651) which reflect the constant shift of power between the Parliamentarian and Royalist forces within the county. These events have left their mark on the landscape and surviving period structures. This project aims to further our understanding of the Civil War in Wiltshire by investigating and recording the evidence of these events by combining archaeological methodologies with historical and documentary analysis. Various episodes of the Civil War will be investigated, for example the Siege of Devizes and the Battle of Roundway Down. When the English Civil broke out in the summer of 1642, most people in the south-west of England shared the general expectation that the war would probably be decided quickly by a battle fought in the vicinity of London (Barratt 2005). There were stark differences among the three south-western counties; Cornwall, Devon and Somerset, not only in their political support for either Charles I or Parliament, but also in terms of their topography and socio-economic factors. All three counties suffered major economic depression and wanted some form of reform, combined with the gentries’ hold on tenants and religious discontent, soon the Civil War would engulf the whole of the south-west of England (Barratt 2005). Wiltshire’s role in the English Civil War was of prime importance for the supply of food, uniforms and munitions (Wroughton 2011), and was largely in support of Parliament. It was not until Charles I moved his headquarters to Oxford and Lord Ralph Hopton’s army arrived from Cornwall that towns in Wiltshire began to be taken by the Royalists. The towns of Wiltshire were considered strategic assets whereby both the Royalist and Parliamentarian forces wanted to gain control of. This is because many towns in Wiltshire, for example Devizes, Marlborough and Malmesbury, are situated on what was then the main route from London to the West Country, and the wealthy ports of Devon and Somerset. Wiltshire was now embroiled in the English Civil War. Musket and cannon ball damage on St. Mary's Church, Marlborough. Identifying the scars of the Civil War on extant buildings - recording battle damage. Identifying the Civil War collections in the county - creating a county wide inventory of artefacts from collections, both private and public. Promote the project publicly across the county - providing opportunities for public engagement. 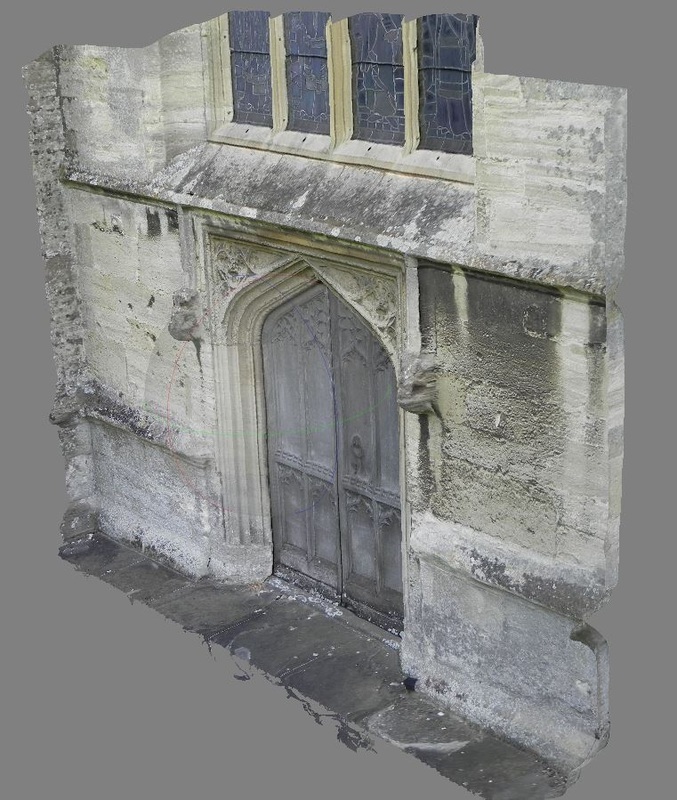 Building Surveys - through the use of photogrammetry which has not been used on English Civil War archaeology as a means of recording battle scars. Mapping military engagements, events and find spots. To access the map, follow this link. Identify and understand better the location the skirmish site of Rowde Ford. Research a potential Civil War camp site associated with the Battle of Roundway Down. Re-examine the evidence from the Battle of Roundway Down. Investigate the Civil War in Malmesbury. Survey churches at Steeple Ashton and Alton Priors. This is a county wide project covering many aspects of the English Civil War in Wiltshire, and we are open to any one willing to help record Wiltshire's rich archaeological heritage of the Civil War. If you want to lead or carry out the recording of any English Civil War archaeology in your area as part of this project, please contact the WAFG (wiltshireafg@outlook.com). 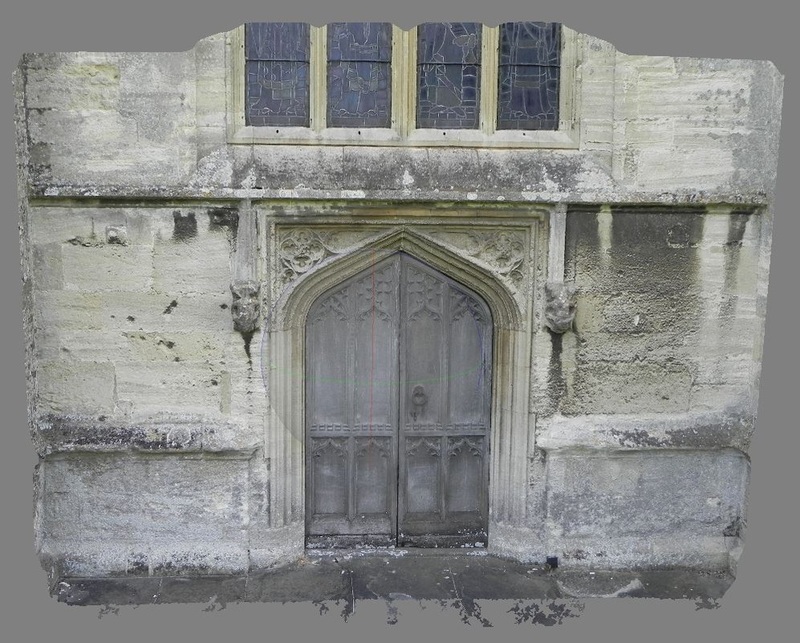 An example of a 3D image produced by photogrammetry on the church at Steeple Ashton.